Are you sick of me yapping on about my trip to Japan? 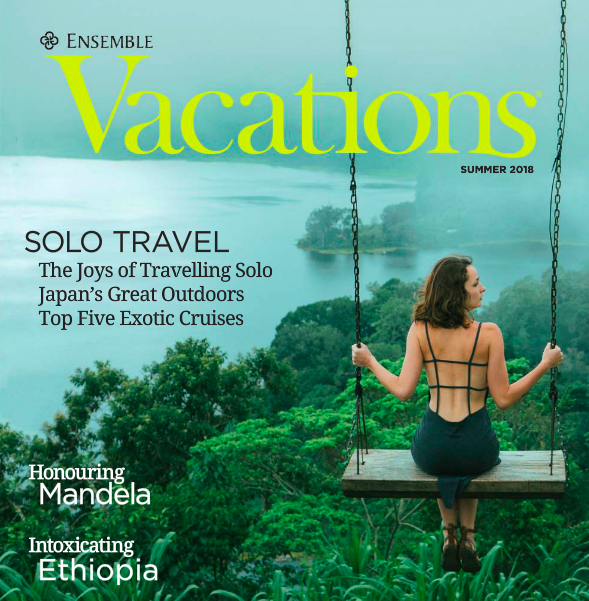 Well, too bad because I wrote another story about my adventures, this time for Ensemble Vacations, a national travel magazine distributed to subscribers of The Globe and Mail. My story is part of an editorial package on solo travel, which I feel is becoming less of a buzzword and more of a movement. I first embarked on solo travel when I was 24—and ironically it was the least lonely experience I've ever had. I became BFFs with my own thoughts, I read more books than ever, and I met people I never would have met if I had travelled with my own clique. There's something about being by yourself that makes you desperate to talk to literally anybody.